Jackmillion Casino is one of the newest casinos out there. It opened its servers in 2017, so this is definitely the new kid on the block. But is this a casino worth your time? Read our unbiased and objective Jackmillion Casino review to find out. 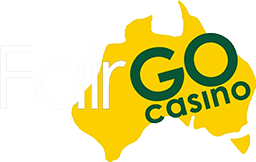 As of September 2018, Jackmillion Casino no longer accepts players from Australia. Players from New Zealand and other Oceanian countries are welcome. Some casinos offer games from a series of software developers. And most players like it when they can choose from a large selection of games. Chances are you’ll find a game you like better than others, right? Particularly if you like slot machines. Well, Jackmillion has limited its game selection to one developer, namely RTG. This means that you’ll miss out on many of the most famous online slot machines out there, and this is a pity. However, the selection and quality of the games provided through RTG is still impressive to say the least. As mentioned above, RTG (Realtime Gaming) is the primary software provider for Jackmillion. And while they pride themselves in their pokies games development, there are many other casino games in addition to the video slot machines, but still – Jackmillion is primarily a pokies lover’s casino. If you ignore the fact that Jackmillion offers a limited selection of games, it is important to note that the software in itself works very well. Games load and play quickly, and the graphics are great. This means that it is still worth a visit, and if you find games you love on Jackmillion, you’ll be just fine on this platform. Jackmillion accepts deposits from a wide variety of cards. Yes, of course, you may use a standard, bank-issued Visa or MasterCard for casino payments. But you can also choose from various eWallets and prepaid cards. Neteller and uKash are two examples. The former is one of the most popular eWallets online, and virtually all online casinos offer Neteller as an option. If you’re not already familiar with Neteller, do check it out. When you register and deposit some money, they will print a card for you and send it to your postal address. This card can be used safely in most casinos. In talking about payments we also need to look at withdrawals. Because if you win money on a casino, you would like to withdraw it, wouldn’t you? Well, some casinos make this extremely difficult either by jacking up wagering requirements or by implementing monthly withdrawal limits. Do check this out before you decide to play at a particular casino. Jackmillion wants you to wager 30 times your initial deposit, but note that not all games count equally to this requirement. If you like video poker you would have to spend a lot of money to see any winnings. We’ve said it before, and we say it again: you shouldn’t just look at a casino’s welcome bonuses to see if this is a casino worth your patronage. Yes, bonuses can be important, but you can’t overlook the many (often high) wagering requirements, which are deeply linked to a casino’s bonus policy. Well, Jackmillion Casino does not have a particularly uncommon bonus, in fact, it is industry standard at 100%. Which means that if you deposit $100, you get another $100 on top of that to play for. The total value of $200 counts towards the wagering requirements, which at Jackmillion is 30 times this sum. If you deposit $100, you need to play for $3000 before you can withdraw a single cent. A pretty normal requirement, but one that most players know nothing about until they try to withdraw money! Jackmillion is a casino that wants to conquer Europe. This is why they offer their site in five other languages than English. This is excellent, of course, as many casinos simply use English. When it comes to customer service, you have all the usual options. You can send Jackmillion an email, engage in live chat or call them on a regular phone. We tried the live chat and were pleasantly surprised. Customer service is a very important feature of any casino, so do take this into consideration before you make a deposit. In fact, the best tip we have is to always try the customer service options of any online casino before you decide. This can be extremely revealing. The first thing you’ll notice when you head over to Jackmillion Casino is that all their pages are secured with HTTPS. This should be standard practice all over the line, but these days many casinos fail to comply. You can easily see if a site is secured by looking for the padlock symbol to the left of the URL in the browser. If you see that padlock, you know that all pages are secure for you to pass information. Some sites only offer secure pages on their order forms, but this is strictly speaking not good enough these days. Be aware! We like so many of the video slot machines that Jackmillion offers. And if you’re also an avid real money video slot player you should definitely head over to Jackmillion to see if you find more than a few slots, include jackpot and progressive jackpot slots, to wet your apetite. Jack was nimble, Jack was quick: Jack won a bundle playing at this top online casino! 5th deposit: 100% bonus up to €200 and 40 free spins on Gemptopia slot.